Welcome to the fourth in this mini series about deodorants and what makes them tick. I have received several questions from you about DIY deodorants which brings us to the ingredient we will be examining today. In recent years, it has become popular as the sole active in many DIY deodorants and artisan-made 'natural' deodorants. Baking soda deodorant is a fairly simple melt and mix 'recipe' widely available on forums, DIY blogs, video channels and other how-to sites. In broad strokes, baking soda is mixed with coconut oil and/or shea butter, cornstarch and/or arrowroot and optional essential oils. Proportions vary slightly, but the basic idea is the same. Sodium bicarbonate is a pretty versatile ingredient. Because it is amphoteric (reacts with both acids and bases), it has numerous uses. It's also widely available and inexpensive. You'll find it everywhere from cosmetics laboratories to household kitchens. Taken internally, it functions as an antiacid. Mixed with water and applied as a paste, it helps reduce itchiness from insect bites or poison ivy. This same paste functions as an effective cleaning and scrubbing agent for kitchen and bathroom surfaces. It's a useful pH adjuster and baking ingredient. Bicarbonate of soda helps control fungus growth and is a known absorbent of musty smells (as many a used-book salesperson might reveal if asked). It is quite an effective deodoriser. It's understandable that it would be an obvious choice as the active in a DIY deodorant. Because it is alkaline, baking soda causes some level of increased sensitivity in the skin of most users after a short period of time. Accounts of 'burning sensation', rash, flaking and 'leathery skin' are common reactions with prolonged skin contact. To be fair, not everyone gets an immediate skin reaction. Some can use baking soda deodorant without issue. I've seen accounts of people that were thrilled with how well their baking soda deodorant worked and had no complaints. Over the years, It has become a habit for me to ask how long they had been using it every time I came across a positive comment. Almost everyone had just begun using it (within 1-2 weeks). I wish I knew for sure if they continued to use the deodorant without issue. Although I haven't been able to find any studies on how many people get a skin reaction to baking soda deodorant, I will (based on my experience) hazard a guess that the folks who can use it continuously without issue probably belong to a minority. There's a link to an 'almost poll' below that is as close as I have been able to get to a 'study'. Meantime, there are additional reasons I don't use this ingredient in my own deodorants. Apply After Shaving? No Thanks! Application of a baking soda deodorant directly after shaving is a no go. I haven't come across a single person who can do this without discomfort, so if you are able to, please leave a comment below! If you check the label of any skin care product that advertises being 'tolerated by even the most sensitive skins', you will find a pH between 5.0 and 5.5. If you check the pH of many deodorants, you will find it commonly lies somewhere between 4.5 and 5.0. Aloe Vera – which is so skin friendly it is even recommended for toddlers – has a pH of about 4.5. Baking soda has an average pH of 8.3. So, even though 'bicarb' is an effective deodoriser, it is unfortunately on the harsher side of skin friendly. It's been quite a few years since I started developing and making deodorants (in part due to my ridiculously sensitive skin and inability to find a commercial product that fulfilled my requirements). Over the years, I have had the privilege of creating numerous different types of custom deodorants for some very lovely clients. Some of them jokingly refer to me as 'Queen of the Pits' – a title I have now come to accept and am even a little proud of. One of my main requirements for any deodorant (apart from the obvious deodorizing one) is that it can be applied directly after shaving with no irritation or sensitivity. Because there is a fairly wide range of ingredients to choose from (even for folks with super sensitive skin and who require all-natural), I am quite happy to abstain from applying any concentration of baking soda to my own armpits. I must admit to a certain admiration for the ladies and gents able to use baking soda deodorant without experiencing any sensitivity. What hardy stuff they must be made of! Are you experiencing a skin reaction from baking soda deodorant? Please visit this post for tips and help. Do you make your own deodorant? Which ingredients are your preferred actives? I do use my own homemade baking soda deodorant, but it does cause a rash.I think the problem was that I used too much.Everyone else in my family uses it with no problems though. Do you have a good recipe without baking soda? I get the red, leathery armpits from baking soda, however, it has never hurt. It looks like it would be super painful but there is no pain. My pits will be bright red for a couple days, then dark red a few days, then brown a few days, then peel for a day or two. Repeat. I put the deodorant on directly after shaving, no pain. My pits are horrible looking but I reek otherwise. I have even cut the baking soda in half using cornstarch for the other half and it still happens. I don't know what I'll do come summer when pits are on display! Melt the beeswax and coconut oil on very low heat, whisking often. Once melted, add in the shea butter and whisk a few times, then remove from the heat and continue melting. After that’s melted and you have a liquid, sprinkle in the clay and continue to whisk well until everything is combined. Drop in the essential oil, whisking still. Place the pan into a cool water bath, and leave for 5 minutes or until it just begins to set up. Spoon the mixture into your deodorant container and place it in the freezer for 20-30 minutes (or until completely hard). If, for some reason, it starts to get too soft on a hot day, just put it back in the freezer for a while. Note: I haven't tried this recipe, but it may very well work. There are no ingredients that should irritate the skin other than some essential oils. I would probably use lavender and/or tea tree if I were making this for myself to be as 'sensitive skin friendly' as possible. Hmm... I use the Crunchy Betty original deodorant - corn start, baking soda, and coconut oil. I've been using it for a year now (!!!). For the first three weeks, I had nasty, leathery skin, and it hurt when I applied right after shaving. After those three weeks, though, things were fine! I can use my deodorant right after shaving, and I haven't had bumps/rashes/pain ever since. I attributed the leathery skin as detoxing from the superhighpowered antiperspirant that I was using before! Hey there K. Wow, you are one of a very few I think. I have read mostly (but not all) bad news from folks using baking soda deodorants. It's pretty impressive that you 'got through' the rash period and came out on the other side and can continue to use it with no rash. I'm would imagine the reaction you had in the beginning was not a detox effect, but a reaction to the baking soda, although I understand your wanting to blame the antiperspirant. Some can have some pretty 'serious' actives-- I've got a post upcoming on antiperspirants in this mini-series. Hi Anonymous - it sounds very much to me like the discoloration is due to the baking soda. Did you have a period with a rash as well, or did it just discolor the armpits? If you switch to a baking-soda-free deodorant, I'm guessing you will see the discoloration fade. Check the DIY deodorant recipe a few comments up. I'd love to hear how it goes for you if you decide to try it. I never had a rash but i do get a little itchy sometimes. I will try something with out or with less BS i used equal parts bs and cs. Thanks for answering. Hi Anonymous - do let me know how it goes! I have used to baking soda, coconut oil, cornstarch deo since January and I have had no issues with it. That being said...I have also switched my shaving method and use an electric razor almost daily on my pits. Mainly because I would get red bumps even with a brand new razor. I do still use a razor if I'm going out somewhere and have on a strappy dress to tank but I do wait a while to put the deo on after shaving. Hi Jamie - Thanks for sharing! I'm guessing you are using your own homemade deodorant? I know what you mean about the red bumps. I'm curious as to how/when you shave? I would imagine using an electric razor could result in quite a bit of 'drag' that could cause irritation if there is the slightest moisture on the skin. I'd love hearing a bit about your electrical-shaving-method. HI I tried the Crunchy betty recipe with the butters and it didn't keep the odors away. I would say it lasted 3 hours during the winter. I like the baking soda one. I do have a faint odor by morning but nothing a shower can't fix. I did have some read bumps but when I cut back the tea tree oil they went away. I also use less baking soda than recommended in any recipe I have seen b/c of the comments of a rash. I just play with the recipe until it works for me. Yes, I do use the homemade deo (coconut oil, cornstarch or arrow root and baking soda). I have to shave pretty much daily. That's why I decided to give this electric razor thing a shot and so far it's working perfectly. Hey Jamie - Thanks so much for sharing! Of course - it makes perfect sense to shave PRE sweating/bathing etc, and the tip about powdering the pits is great too! Just made my first homemade deodorant yesterday. And so far day one it really works a little burning sensation when I first put it on but I think I used either too much baking soda or tea tree oil. I can't really wear commercial deodorant it just makes me stink and natural deodorant it doesn't work at all. Making homade deodorant is easy worth trying I think. I tried so many variations of baking soda deo, and I always eventually break out in massive Flaming red leather pits. :( I am currently using a mix of witch hazel, veggie glycerin, with some tea tree and patchouli in a roll on container. It works well, but I prefer a cream because I have to reapply this one often and on top of normal sweat, my pitts are always damp from the deo. I haven't used arrowroot yet, so my next deo will be Shea, coconut oil, arrow root and essential oils. I'm going to stop using BS altogether to see if the odor can be controlled without it. I'm a petite lady, and I don't sweat a lot, but I have major odor due to excess male hormone (pcos). Hi Anonymous - this is great input. I really hope you have luck with the odor control - it really is the most uncomfortable part of all - more so than sweat. Have you tried natural deodorant crystals? These work very well for me. They are water soluble, so they may just work in your gel base... just a thought. I have tried so many deodorant methods :( Ever since puberty, my pits have been disgusting. Normal deodorant of any brand would work for a few weeks, then quit. I decided I'd had it with the aluminum in deodorant as it never did anything for sweat on me anyway, and I moved onto men's deodorant. They worked for a lot longer (except I smelled manly), but then they quit, too. So more recently (2 weeks ago?) I mixed up a corn starch/baking soda and coconut oil concoction. I added a little bit of aloe vera and jasmine essence for more liquid and less oil usage. It definitely keeps me from reeking! I had some white mess clumps, but I decided it was better than smelling like a big bag of rotting onions in the sun. Then a couple days ago it happened: my skin got dark, bumpy, and leathery. It doesn't hurt, but it's really ugly and obvious :/ I don't know, it's a bummer no matter how you look at it. I will probably try making a new batch with a lot less baking soda and see what happens. Why can't just one of these natural deodorants work so I can spend this significant chunk of my life worrying about something else? Hey there Lint - Thanks so much for sharing. Wow, you have had a long hard struggle. I fear you are going to have probs with irritation - even if you lower the baking soda amount in your next deodorant. I'm trying to think if there is anything I can suggest that you haven't tried, but it really sounds like you have been the 'whole route'. There seems to be some indication that you 'work best with variety' though, so maybe it would be possible to make a selection of workable solutions for yourself by concentrating on the ingredients that seem to work the longest for you and combining them in various ways, then switching every week or so. One thing you do have to be very mindful of is bacterial growth with anything you mix together that contains liquids (this includes aloe vera). 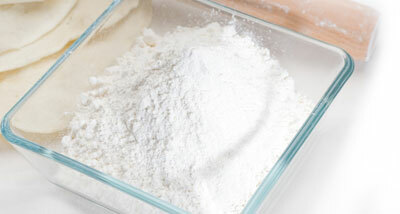 If you don't want to use preservatives, be sure and use your mixture within a very few days and store it in the fridge. It would be disasterous to add insult to injury by introducing unwanted bacteria to this already sensitive area. I wish you the very best of luck with your endeavours. Just wondering why you use potassium allum in your products. I thought potassium alum was related to aluminium ... a big no-go area for people who wish to apply safe products to their skin. Debbie, I had the same problem at first. I have very sensitive skin and figured I would have to find another solution. Then a friend suggested that I rub a couple drops of almond oil in to my pits before applying the baking soda. I was sceptical at first, but found that this solved all my issues. Plus it gave the baking soda something to stick to. I've been doing this for a year now and haven't had an issue since. I stay fresh all day (can't say the same for "traditional" deodorant). Hope this helps you out. The dark red leathery reaction from using baking soda is most likely a fungal infection. The baking soda changes the PH of your skin under your arm and affects the bacteria that normally keep the naturally occuring fungii in check. Without the bacteria the fungii take over and the infection spreads very quickly. Most likely it is a type of yeast infection. A yeast infection is counteracted by vinegar, but beware, vinegar and baking soda react together as an acid and a base. Hi Anonymous - I'm having a hard time agreeing with you. I think a better solution all around to having a rash or any kind of skin reaction to DIY baking soda deodorant is to find an alternative deodorant. I agree that with such a reaction it is better to find an alternate deodorant. People should understand though that the resulting rash is most likely a fungal infection and not a reaction to a chemical irritant. Sodium bicarbonate changes the PH of the underarm area which effectively limits the BO producing bacteria, but has the unfortunate side effect of allowing fungi to thrive. In the majority of people this is the candida albicans fungus that can be treated with certain fungicides like the active ingredient in Lotrimin. But to assume it is just an irritation and leave it untreated result in a rash that spreads or lasts for weeks or months. It is no wonder the industry does not offer an effective over the counter deodorant because the only effective way is to kill the bacteria that produces BO, and the result is that fungi and other infections can spread in the absence of this bacteria. So the industry only offers neutral solutions, like aluminum-based deodorants, which are marginally effective at controlling wetness but do nothing to kill the BO-causing bacteria; and they offer strong-scented products to mask the smell, which we all know is ineffective as well, and offensive in its own way. As to your comments on whether or not the industry offers useful and functioning deodorants to stop body odor, I'm not sure I can agree with you here either. I think the main complaint people have with industry made deodorants is their content of certain specific ingredients (like aluminum) that have been targeted by scaremongers. Don't get me wrong, I'm not saying industry made deodorants are perfect (if I thought that, I wouldn't have spent so many years developing my own), but I'm pretty sure they are overall effective at deodorizing. Candida is naturally-occurring in the armpit, though more commonly identified in the groin area and as a result an underarm rash is often mis-diagnosed as an abrasion rash (due to shaving) or a reaction to a certain chemical in a deodorant. What happens with baking soda is that the higher pH of the chemical tends to remove the acid sheath (low pH) on the surface of the skin and it kills the bacteria that keeps the fungi in check. This commonly results in cutaneous candidiasis, which is the rapid spread of the candida fungus on the underarm. Telltale signs of a candida albicans infection of the underarm include: dark red leathery or velvety area, defined border of small bumps and possibly larger lesions; rash scales over significantly after a few days; itch comes in waves and can be severe on the level of chicken pox or poison ivy; excessive flaking off of skin which can result in wound-type small areas that "weep"; an unusual smell that is different from your typical BO; once the rash clears and heals (typically a couple of weeks with anti fungal treatment) the skin remains brownish for up to 4-6 weeks. To treat and prevent recurrence you should eliminate the fungi, stop using products which change the pH of your skin, take care to avoid irritation and treat any skin breaks to avoid a secondary bacterial infection. Clotrimazole (the active ingredient in Lotrimin) is an effective anti-fungal and usually relatively mild on the skin. Vinegar also is effective though can be irritating to sensitive skin and you smell like a salad bar. Cortisone creams can be effective for itch. Loose clothing will allow the rash to heal more quickly. Try not to scratch hard as the sensitive skin, especially around the edges, can break easily. The rash can spread to other parts of the body, in particular the groin. Typically showering will spread the fungi as soap and water does not effectively kill fungi. You should act quickly to treat and prevent its spread as if left untreated and your immune system does not naturally control it, it can spread internally as well and cause significant complications. Baking soda is an effective deodorant, but unfortunately has more serious side effects in the majority of people. The rash descriptions here and in other similar threads are representative of this fungal infection. HI Anonyomous - thanks for your input. It looks like I have a bit of research to do on candida. You may have just inspired a new blog post. I use a mix of baking soda and bath powder. I love the result as far as no BO, but like some others my underarm has turned black. I have no rash or redness. Also, the underarm where I have had radiation for breast cancer, has not turned dark, but neither does it sweat or smell. If I could find a cure for the dark underarm and keep the no BO, I would be a happy camper! Thanks for sharing! It's great that you are BO free, but I can imagine the miscolored armpit is less than fun... Have you ever tried the deodorant stones? (potassium alum) also called natural deodorant crystal? This works very well for me (no BO) and there is no miscoloration from using this product.. maybe worth a try? I've been getting the rash, too. I'm wondering how it would work if I used a little more arrowroot and leave out the baking soda? Do you know what the arrowroot actually contributes to the mix? I'm thinking it might be a good idea to try. Check the comment above with a link to a deodorant recipe. This is one that will not irritate, and may very well work. (I haven't tried it myself, but did check out the ingredients). You might also try the deodorant crystal stone (potassium alum). This works very well and doesn't irritate the skin. It is even used for shaving cuts, so won't sting at all. Hope this was of help! Hi! I am so happy I found this blog yesterday. A friend commented about her use of Baking Soda as a deodorant. I was curious and began using it although previously the Crystal deodorant was working just fine. I was amazed at how much better the Baking Soda worked. It's the best deodorant ever, absolutely NO odor at all! And then I began noticing redness on my underarms. I googled this and found that I was probably detoxing and my skin was getting used to the Baking Soda, so I continued to use it. Yesterday I noticed darkness, irritation, burning sensation and itching under my arms. Since Baking Soda deodorant is new for me, I figured that must be the culprit. I decided to google Baking Soda deodorant, rash, irritation, etc. That's when I found your amazing blog! Yesterday morning was the last time I used Baking Soda under my arms. I've since only applied A&D ointment, Organic Aloe Vera and Organic Coconut oil to my underarms to allow them to heal. From reading one of the comments on this blog, I may have to try Lotrimin also. Anyway, I've used no deodorant at all for now. And so far I haven't really even needed it. I'm just a fanatic and hate all body odor. Thankfully I didn't use the Baking Soda on any other body parts! The itching has stopped although the slight burning sensation continues. Looks like I'll be returning to my Crystal deodorant. Thanks so much for your informative post. HI Kiatrisse, Thanks for your friendly words. I'm so glad this was helpful to you. It sounds like you have pinpointed the culprit in time and hopefully your armpits will heal quickly. Hi Anon - thanks for your input. I'm glad this is working for you, but please do note that some people can use baking soda for a very long time before seeing a reaction. Hi Julianna - So sorry to hear you have had a rash! Depending on how bad it is, you might try soothing the skin with pure aloe vera and going deodorant free for a short period of time. Have you tried the deodorant crystal? I have an upcoming post on how to use this most effectively. This is great even for senstive skin and will most definitely keep BO at bay. I have very sensitive pits myself and have had good results all around with the stone deodorant. Let me know how it goes, ok? I used to used witch hazel sprayed, then the crystal stick, which is very very effective in the winter. I'd use Aubrey deodorant on top if I was very active that day. But I need more in the summer time that is drying. I made my own deodorant with BS a month ago and have been having lots of itching. I substituted be tonite clay with awesome results! Its keeping me dry and stink free! So glad for this article because its helped me pinpoint the problem with my past DIY deodorant. Hey there Anon - Glad to be of help! Your witch hazel and crystal stick combo sounds lovely. Great idea switching out the BS with bentonite clay. I've been using a recipe made with coconut oil, arrowroot powder and baking soda. I had used just the coconut oil bs combo before but got the rash, itching, etc. it was awful, especially because the deodorant worked! This recipe with only a small amount of bs works but my armpits are turning brown. No itching or rash at all, just ugly! I am going to try leaving the bs out altogether next batch to see if it stops..just coconut oil and arrowroot.. I have made the beeswax, bentonite clay recipe. It was too hard to spread in cold weather and I sweat right through anyway. Hi Kristin - Thanks for your input! You might find using a BS-free deodorant in combination with the deodorant crystal stone an idea. I have had luck with this combo. Best of luck with it. I have been using soda bicarbona for 5 years by now and I have never experienced any rush or irritation, even though I suffer from dry-ish skin and I am sun sensitive. I do not make any fancy stick with wax or oil, it only causes additional problems with clothes. My recipe is very simple: I mix soda with a few drops of water and a few drops of tea tree oil. Sometimes I just use soda powder alone. It works perfectly, I do not feel any funny smell all day long. I keep my soda mixture (or plain soda) in a roll film container and it never failed me. I am absolutely happy with soda bicarbona and I feel really sorry for people, who cannot use it instead of those overpriced and above all in some cases very dangerous solutions you find in the shops. Basically, do not use anything that claims that you will not sweat. This is very unhlealthy indeed. Don't be afraid of sweating, just deal with the smell. Your body needs to sweat and by clogging your pores in your armpits you don't do yourselves any good. You mignt end up with a huge lump because of a clogged pore which got inflamed (and believe me, it is very painful and heals for weeks) and of course your body cannot work properly, as it was designed to. As for shaving, I am amazed at the guys who use ANY product on freshly shaven skin. Do they realize that it is the same as rubbing a product into a wound? Of course it is only rational to wait after shaving for at least twenty minutes (or longer – you must listen to your body and find out for yourselves) to give the body time to close up the micro wounds caused by the sharp blades. PS: I have a feeling, that every time somebody comes with a simple solution to a problem, the whole world starts to undermine the concept and make people believe it is wrong. I don't say everything simple is OK but don't jump into conclusions, do some serious research and ask people who you can trust. And listen to your body and your heart. Not all people are the same and "made of the same stuff" so if someone says it doesn't work for them, it still can work for you, and vice versa. Hi Shonda - Thanks for sharing this. You don't write the percentage of baking soda you have in your recipe, so I am guessing here, but do have a suspicion that it is the baking soda you are reacting to. Some people don't react to it right away. The other ingredients in your recipe (cornstarch, shea, cocoa butter) are not skin irritants, so if you drop the baking soda and try replacing it with kaolin clay and/or powdered potassium alum, you should do better. I hope your pits heal quickly. I've been using a homemade deo for about a year now. I noticed darker skim at first but it resolved itself and I kept using the deo. Within the past month, I've been to the doctor twice to figure out why I have swollen lymph nodes in my armpits and now a rash. Very painful, red, and lumpy mess! Doc did not think it was related to the deo, but it sounds to me like a reaction to the baking soda. I also think the post about yeast infection/fungal infection is right on. I feel awful and exhausted in general right now. I did buy some clotrimazole cream and am applying it twice a day. Such a big bummer because my homemade stuff works better than any other deo I've tried. Will try the recipe without baking soda! Any other suggestions? Hi there Anon - I'm so sorry to hear you have had problems. It is unfortunately not uncommon to have reactions to DIY baking soda deodorant. You might try using the natural deodorant stone (deodorant crystal - potassium alum). This is quite effective and safe. It's a good idea to switch between personal care products regularly, so maybe you can switch between the crystal and a DIY baking-soda free deodorant and see how your pits fare..
Hello Pavla - Thank you for your input! I do apologize for this tardy reply - your comment was in the 'awaiting moderation' feed on the blog and somehow escaped my eye. It sounds like you have found a deodorant solution that works for you, and that's great. I do agree that it is wise to listen to ones body. Hi Anon - You are only partly right about potassium alum. It is not aluminium - it is a naturally occurring chemical compound that is the potassium double salt of aluminium. These are not one and the same. Wow I had no idea so many folks had reactions to bk soda. I use it most days, just a bit of powder and that's it. Never a rash, itch, reaction ever! I guess I'm one of the lucky ones. I located your blog while surfing for ideas for mixing my bk soda with something that smells nice, etc. I have been using plain baking soda as a deodorant for quite a while, and it works great, for me anyway. I did try making my own with coconut oil and found that I had an allergic reaction to coconut oil. So now I use plain old baking soda and it seems to be working fine so far. Hi Roxie - I hope it continues to work for you. Best of luck. I am a chemist and I need to let you know that potassium alum is an aluminum salt. You actually state this, but that means it contains aluminum. Commercial deodorants containing aluminum are also prepared with aluminum salts (albeit different versions). Aluminum metal (non-salt versions of aluminum) are only rarely found in nature - aluminum (as an element) is very reactive so most aluminum "in the wild" is in salt form. All commercial deodorants containing aluminum contain it in a salt form (not the metal form). The salt form may effect the bio-availability of aluminum ion, but all aluminum salts contain the element aluminum. I think it might be a bit disingenuous to say that the commercial deodorant is not safe because it contains aluminum but the potassium alum IS safe because it is a salt. They are all salts. No need to post this - I just wanted to let you know since I've seen several posts regarding this issue. Hey there Danielle - Thanks for your input and inspiring a coming blog post – potassium alum -explained in detail. If you check my post about aluminium and antiperspirants you'll find my position on aluminium content in commercial deodorant. I knew about the Baking Soda's PH being too alkali, so I added a few drops of lactic acid to drop PH of the finished deodorant to PH4.5 - 5.0. Is this an acceptable deodorant? For 12 hours there's no smell, even in heat, covered in sweat - no problem. The original recipe from wellnessmama without lactic acid which gave me a little red rash and a sting on freshly shaven arm. Hey there Anon - this is quite interesting! I wonder how your formula will fare - preservative-wise though. Even though lactic acid is used in some food processes and has some preserving ability, it's hard to tell if it will work in this formula without precise percentages of your ingredients. You've inspired a bit of research with your question! You are using to muh baking soda. It is irritating your skin. Try a recipe with dissolved baking soda and water. PS - it's so unfair, I know people that are so not as hygienic as me and don't sweat one bit!!!! Thanks for sharing Anon - you are absolutely correct about people associating sweat with odor. It's quite common to assume a heavy sweater is automatically also stinky, but just isn't so. I hope your deodorant solution continues to work for you. I use 1/4 of baking soda 2 drops tea tree and 4 drops sandalwood. I've used for a month and so far no problems of any kind. I pinch and slather it on and tada off to work I go. Hi Anon - I hope this continues to work for you. If you are using baking soda and essential oils neat on the skin, you could be asking for trouble, but perhaps I misunderstood your comment. I have made a deodorant that has some baking soda in it for the last four years. Tested on thousands of customers. Out of all of those customers, I have had 6 or 7 that reacted to the baking soda or something else that was in the deodorant. My doctor and I had quite a discussion on just this issue, Baking Soda in Deodorant. The natural deodorant that I make is a detoxing deodorant due to the ingredients. The ingredients cause the toxins in the armpits to detox out of the body. Not making a medical claim here but a basis for the premis of my point. Detoxing those nasties out of the body occurs and the bumps and discomfort occur. Heal up the armpit area and try again and 9 out of 10 times, the bumps and discomfort disappear for good. I have personally been using the deodorant for 4 years. Last week, I shaved under my arms and applied the deodorant. For the first time in 4 years, I broke out. Very first time for me to react to the deodorant in 4 years. Keep in mind, my skin is so sensitive that I break out in hives if I even brush up against most commercial products. Seriously sensitive skin. But in 4 years, 1 breakout, from my baking soda deodorant. Totally healed and able to use my deodorant again now. My deodorant works, sure would hate to live without it. I admit to using a different process with my baking soda by heating and holding the baking soda in a few of the deodorant ingredients. Seems to make the deodorant much more creamy. Not sure if this makes the difference. So, I am not sure that you are correct when you say that the minority can use baking soda deodorant. My experience and product show otherwise. In fact, my experience and product tested by thousands of customers show otherwise. Hi there Cherie - First - thank you for posting your name. Not everyone does. I am happy you have something that works for you. As you don't write the percentage of baking soda in your deodorant, I am guessing you are using a much lower percentage than many do. When I write that only a minority can tolerate baking soda deodorant, I am referring to several things: baking soda is not ideal for prolonged skin contact because of its inherent chemical make-up. Baking soda should be buffered before skin contact or it functions as an irritant, because baking soda has a terribly un-skin-friendly pH. Just a little input: I have heard from people who used homemade baking soda deodorant for up to 10 years before reacting to it, and when they did, reacted quite violently. I'm not saying it will happen to you - everyone is different, but I thought you might be interested. Not only is it more effective than any commercial eco-label expensive deos that continuously disappointed me but it really is nourishing and moisturising as well, meaning that i don't get any discoloration, flakes, dryness, or dry layers of deo under my arms. I use so very small amount that the butters/oils in the deo don't even stain my clothes. HI Lin - yeah, shaving can definitely make a difference! Hi Manda! Thanks for sharing! Hi Lisa! I just stumbled onto your blog today while looking for a different way to make a baking soda deodorant. I've been using straight baking soda, patted on with a powder puff, for at least 10 years now. I've never had any redness, rash or pain and it works perfectly! (It is a problem if I happen to nick myself shaving but that hurts no matter what you do afterward.) The only reason I'm looking for another way to form it is that it's rather messy. It ends up all over the floor and countertop. It's easily wiped and vacuumed up so it's only a minor drawback, but I thought it might be worth my time to look and see if I've missed anything over the years. Hi Rennib - oh wow thanks for sharing this! You must be the first person to comment here with such a long usage! I hear you about looking for less messy options. I wonder if baking soda in a stick form might work for you then?